Space Food Nutrition: And Don’t Forget to Eat! Space Safety » Archive » Spaceflight » Space Food » Space Food Nutrition: And Don’t Forget to Eat! Is Nutrition Key to Success (Not Only) in Space? Medieval seafarers were losing their teeth, suffering painful wounds, and dying in large numbers due to a condition caused by improper nutrition. And still, with the availability of fresh fish and the rather large size of the ships allowing storage of a decent amount of food compared with confined space capsules, one would say the medieval crews on vessels cruising the world’s oceans in the Age of Discovery were in a much better situation than 20th and 21st century astronauts. It took until 1932 to identify severe vitamin C deficiency to be the main cause of scurvy and to understand that it was actually the lack of fresh fruit and vegetables limiting the success of early maritime travel. Though modern science has managed to advance the understanding of human nutritional needs up to the level of milligrams of micronutrients a day, getting the right balance in a diet of someone without access to any fresh supplies still remains a challenge. Especially when this ‘someone’ has one of the most demanding jobs one can imagine. Charles Bourland, a retired space food scientist who served at NASA since the 1960s, admits that up until American space station Skylab in the 1970s, astronauts, including those landing on the Moon, consumed only about half the amount of food they should have consumed, given the demands of the situation. “In fact, on Skylab, they had the best intake they’ve had. I guess the space station crews are getting closer to proper intake now but not even on a Space Shuttle did they have such a good intake as on Skylab,” says Bourland, explaining that motion sickness and a packed work schedule have always had a bad effect on astronauts’ food discipline. While such a problem might go basically unnoticed on a short mission, once we consider a months-long journey to Mars and beyond, the astronauts might find themselves in life-threatening situations. Can Poor Diet Trigger Dementia? Securing a balanced diet for astronauts on long duration missions is one of the biggest challenges (Credits: Bill Ebbesen). 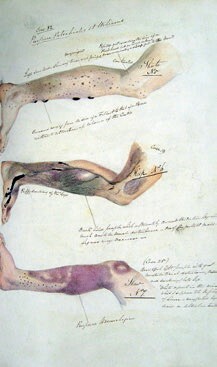 It’s not only scurvy. Malnutrition is the root of many conditions and there is no doubt a malnourished crew would hardly perform according to expectations. In the mid-2000s, NASA helped to discover that malnutrition might not be the result, but the cause of cognitive decay of some elderly people. Focusing on micronutrients that are also among key nutritional concerns in human spaceflight, the researchers compared two groups of elderly people from Texas – healthy, active seniors and those obviously self-neglectful, displaying symptoms of depression and dementia. After blood samples were taken and analyzed using a methodology developed for astronauts’ nutritional assessment before long duration missions, the scientists have found that while healthy seniors had normal levels of vitamins B12 and D, folate and antioxidants, cognitively-impaired self-neglectors displayed severe deficiencies. “This study is an example of how NASA research and capabilities not only benefit astronauts, but can contribute to basic science and to public health,” said Scott M. Smith, NASA nutritionist at the Johnson Space Center. “I think that malnutrition may not just be an outcome but may actually be an initiating factor,” he says. Now, let’s imagine a mentally (and physically) unfit crew landing on a desolate planet millions of kilometers away from Earth…That’s a disaster waiting to happen. According to Dr. Bourland, astronauts, similarly to Earthlings, need to consume some 2000 calories a day, with the exact amount depending on their body mass, gender, and activities. Though many of their nutritional needs are identical to those of Earth-bound people, after more than 50 years of human spaceflight scientists have managed to tune the astronauts’ diet to, at least partially, make up for the space-induced changes in a human body. 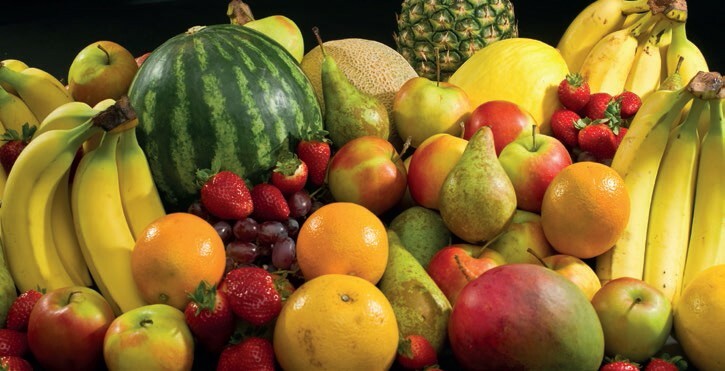 Scurvy is one of the well-known conditions related to vitamin deficiencies. (Credits: The UK National Archives). “They don’t need as much iron for example,” Bourland says. “In fact the requirements for males and females are the same for iron, while they are different here on the ground where females require more.” The reduced need for iron is a result of the decreased production of blood cells known to take place in space as less blood is needed to power the body. In fact, consuming too much iron in space could build up toxicity. An iron–overdosed astronaut would become dizzy and tired and could suffer from headaches and weight loss, feel nauseous and short of breath. With too much iron in the system, the body also cannot absorb zinc properly. In the long term, without reducing his or her iron intake, the astronaut could develop serious problems including liver damage, arthritis, or heart conditions. Similarly, the balance between potassium and sodium becomes rather delicate in space. Those two compounds maintain the fluid balance of the human body, regulate blood pressure, power cells, and enable neural signal transmission. Some studies even suggest these two elements contribute to healthy bones. However, as the water economy of the organism changes in space, so does the sodium-potassium equilibrium. Researchers have concluded that, on average, astronauts tend to consume too much sodium and too little potassium. The high content of sodium makes many types of terrestrial food, which would otherwise qualify for spaceflight, in fact, unsuitable. 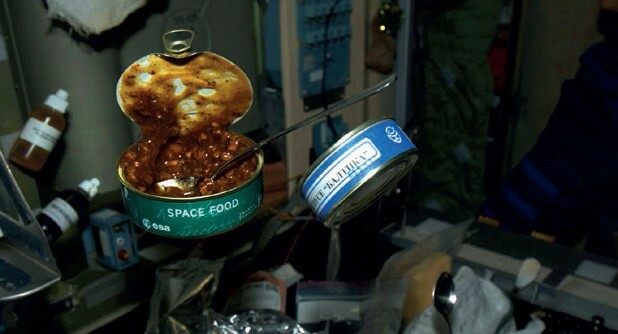 A can of space food floating aboard the ISS (Credits: ESA). While early seafarers were suffering from the lack-of-vitamin- C-induced scurvy, in the case of astronauts, vitamin D deficiency becomes a major issue. Throughout the evolution of men, nature was able to take care of this matter, equipping humans with the ability to synthesize vitamin D in their skin when exposed to sunlight. However, spacecraft have to be shielded from the Sun, as without the presence of protective atmosphere, the solar rays become too powerful. is yet to be identified. Like it or not, we are what we eat and space science has helped to advance our understanding of nutrition, not only to secure success of space missions, but also to improve the quality of life for those bound to Earth. This article was first published in Space Safety Magazine Issue 9, Winter 2014.